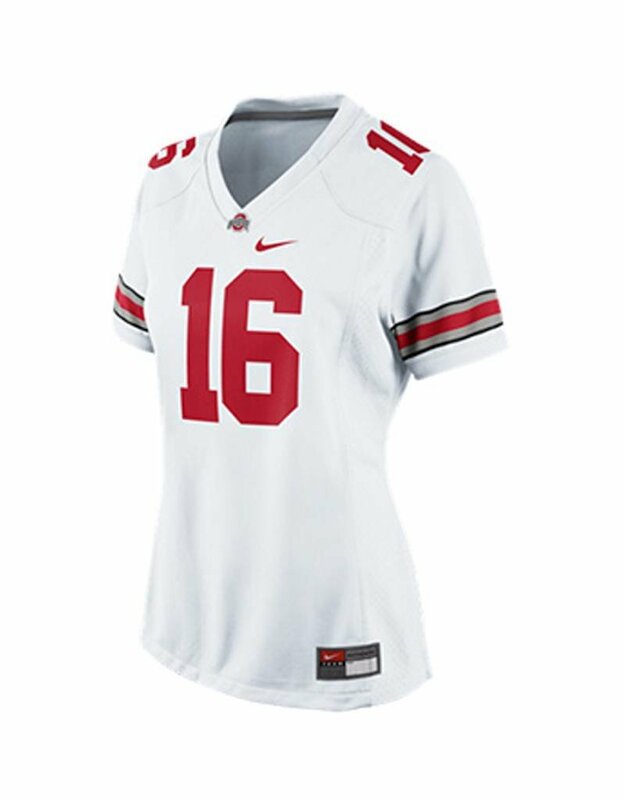 The Ohio State University Women's #16 Jersey by Nike is a replica jersey styled after the on-field counterpart worn by your Buckeyes. 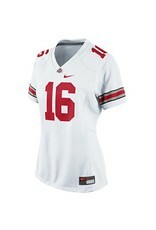 Women's cut fits to a woman's form to complete a stylish look while supporting your Buckeyes on game day or anytime! Officially Licensed Product.